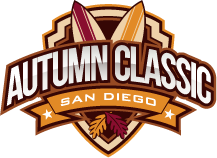 If you would like to bring your team to the Autumn Classic then click the Register button above! Welcome to America's Finest City and the encore of the Autumn Classic! In 2018 America's Finest City Softball League (AFCSL) will host our 35th annual tournament. We intend to further enhance a positive LGBT sporting experience. If your organization would like to participate please contact us! Our 36th Annual Autumn Classic: October 12-13, 2019.